L to R: Joshua Pollock, Heartfulness trainer Sanjay Sehgal, NRI Pulse’s Jyothsna Hegde and flutist Shashank Subramanyam. Atlanta, GA, August 6, 2018: “The Inner stillness. Silence inside. A lightness and smooth sense of joy. The ocean of peace. Non-existence of likes and dislikes. Accepting people and situations as they are right now and in the present are some of my own transformations as a person since Heartfulness has been part of my life,” summated Joshua Pollack, an international violinist, a heartfulness trainer and co-author of The Heartfulness Way in his exclusive interview with NRI Pulse. 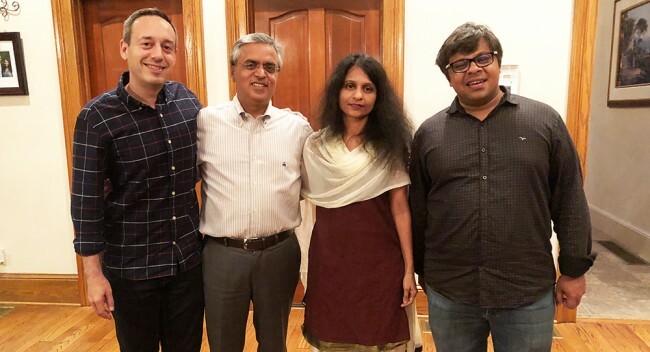 Pollack, who is on an international book tour was in Atlanta on June 29 and 30, speaking at various events including “Heart Notes” featuring Pandit Jasraj, Partha Nandi, MD, Chetan Bhagat and Shashank Subramanyam. Kamlesh D. Patel fondly known as Daaji, the current spiritual guide and fourth in the lineage of the global heartfulness movement steered Pollack towards penning the essence of the practice, its simplistic implementation techniques and puissant implications. “I said yes immediately when Daaji asked me to write the book, despite a little trepidation,” said Pollack. “The Heartfulness Way is essentially a collection of my conversations with Daaji over a period of time. We worked on it for two years and released it in 2017.” The book was released by President Kovind at the Rashtrapati Bhavan on January 20, 2018. A chance meeting and conversation with a stranger outside a local shop in Clevelandled Pollack to Heartfulness. “In the first few minutes, I felt at home,” he said. Having experimented with other techniques before, I knew this was the one for me. I continue and stay with the practice because new paths keep unfolding. I feel inspired by what tomorrow holds for me,” he added. Ruminative and reflective, The Heartfulness Way embarks on the journey within, exploring paths to spiritual transformation though heartfulness, rooting its source at the heart with three core practices, including meditation, cleaning and prayer. “In the Heartfulness approach, meditation is aided by yogic transmission and that makes all the difference. It’s what makes this method so powerful,” said Pollack, highlighting what sets heartfulness apart from other meditation practices. Just as we feel the presence of air only when its breezy, transmission, like the breeze, makes the divinity already within us subtly animated, he elaborated. I took upon Pollock’s generous offer to introduce me to meditation, which includes drawing your stream of consciousness to focus on the heart or any one point within yourself, relaxing from toe to the head gradually, and eventually being able to focus on a single point within. “Guru is the spiritual gold standard. His role is to trigger the transmission, that movement of divine energy within us. 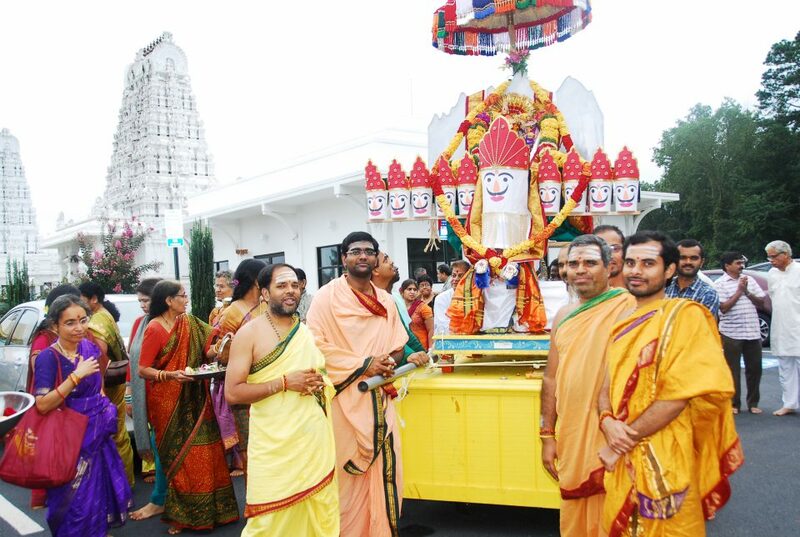 Without the guru, there is no transmission,” said Pollack about the significance of a guru in the practice. And the cleaning helps remove any past samskaras and respond in the present, with no baggage of the past, he added. “Since cleaning removes the past, it also rejuvenates and refreshes the musical notes in my work. It helps me be more creative,” he said, with reference to the influence of heartfulness to his music in particular. Pollack has worked with A R Rahman in movies such asDelhi 6 and Ghajini and served as an international faculty member at Rahman’s school in Chennai. “Prayer must be offered in such a way that it transforms into meditation,” said Pollack. A Heartfulness prayer in offered once before daily meditation and again just before bedtime. “You are the experiment. You are the experimenter. And you are outcome. Listen to your heart carefully and follow it faithfully. Let it be your inner guru and guide you. This is Heartfulness,” he concluded.